Mabye I'll wire a house line voltage to one (because they're so cheap!) and see if it explodes! Use an 8-pin PIC without the PicAxe bootloader/interpreter... it'll be even cheaper, and just as good for generating electronic smoke. (Although, I can tell you from personal experience: PICs can take quite a bit of abuse). Also consider the ATTiny 85 which can be programmed by an arduino. It can even use just it's internal oscillator to obviate the need for an external crystal. Here's an example I made. I know these can run down to 2.3V, and support using 2xAAA alkaline batteries. But I will still need to get a separate regulated supply to power the common 3.3V sensors Sparkfun sells (pressure, accelerometer etc), is this correct? Or does the PICAXE step-up the voltage itself so I can power 3.3V sensors with 2xAAAs? My project is basically a PICAXE with a pressure sensor and a compass which reads data and uses it to turn on LEDs and move a small servo. 2014 will soon be here. 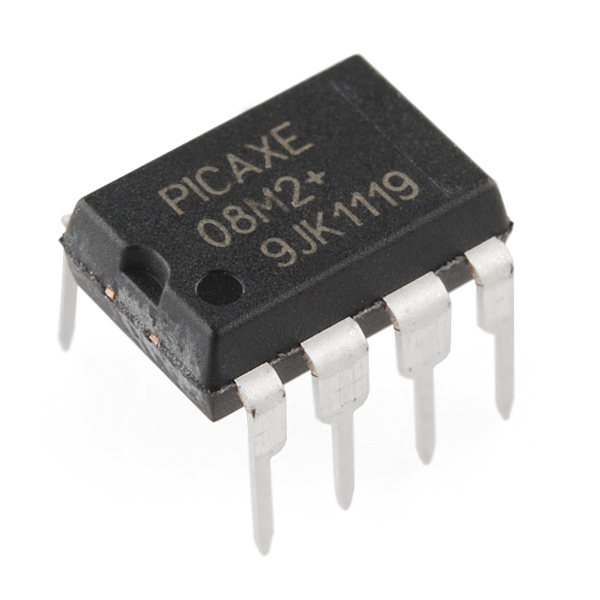 Isn't it time for a full lineup of surface mount picaxe chips? 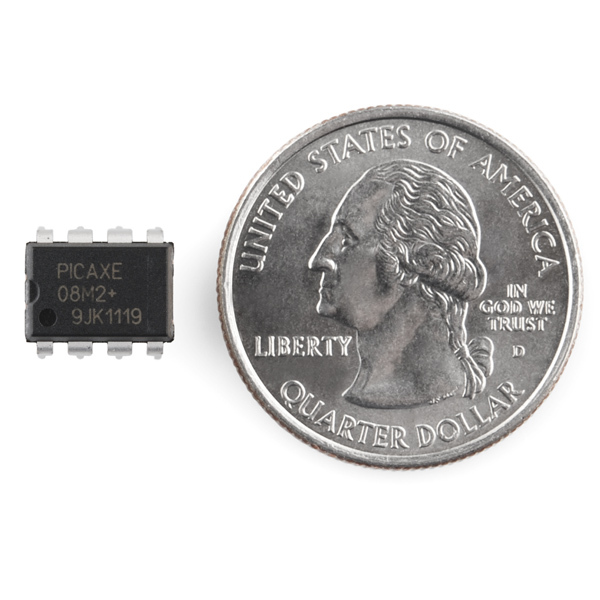 Very few carry the SMD lineup of the PICAXE chips. I don't think they're offered in bulk discounts to resellers like the TH versions are. But I would bet many who would order them would also get a few other parts, offsetting the low profit margin (if that's the reason). I would really like to see Sparkfun carry the 14M2, and 20X2 in SMD format. Will you be getting these back in anytime soon? I'd like to buy three. can i run this at 3.3v? WE NEED MORE PICAXE O8M2 please! 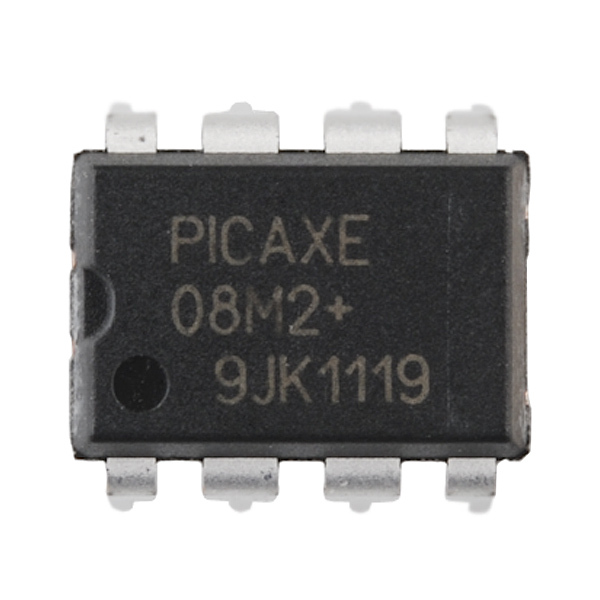 Sparkfun, do you have the picaxe IC's but in SMD package??? The new and improved E-Z microcontroller is back!!! Great beginner MCU. Lots of information on how to use them. Bought 2. Made a serial cable and programmed using a generic USB to serial adapter then soldered up the two resistors. Used thoroughly without any problems. Ran a serial LCD, made sounds with piezo elements, controlled with an infrared remote, touch feature is cool. Pairs well with an l293d, I drove 4 separate 12v LEDs, relays, and then 2 small motors. I even reversed the polarity for about a minute with a 3.7v lipo battery and it still works. Got real hot so I'd say durable too. Probably work great as a teaching tool. 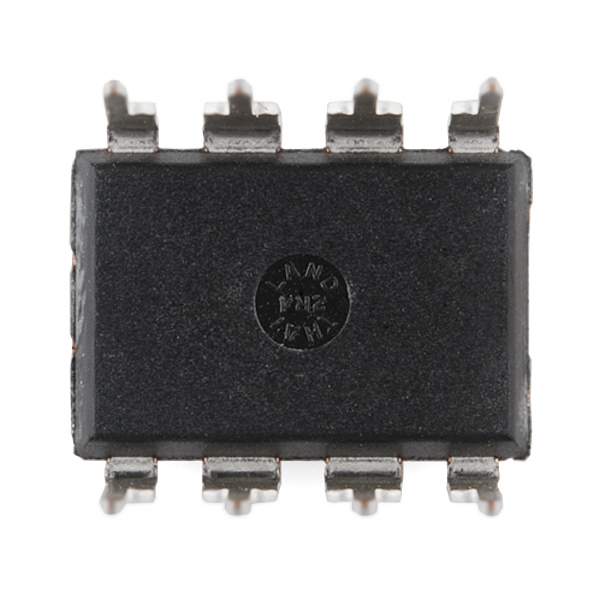 For a chip that uses interpreted BASIC this micro-controller is very capable. I'm a long time assembly and C programmer that uses Arduino and Teensy on a regular basis but many tasks can be much easier to accomplish with this chip. The PICAXE system is simple, mature, robust, and it 'just works'. It never ceases to amaze me how so many tasks can be so easy to do with a PICAXE. Love these things. So easy. So cheap. The dev boards https://www.sparkfun.com/products/8321 Make it really easy to create a one off project for less than $10.